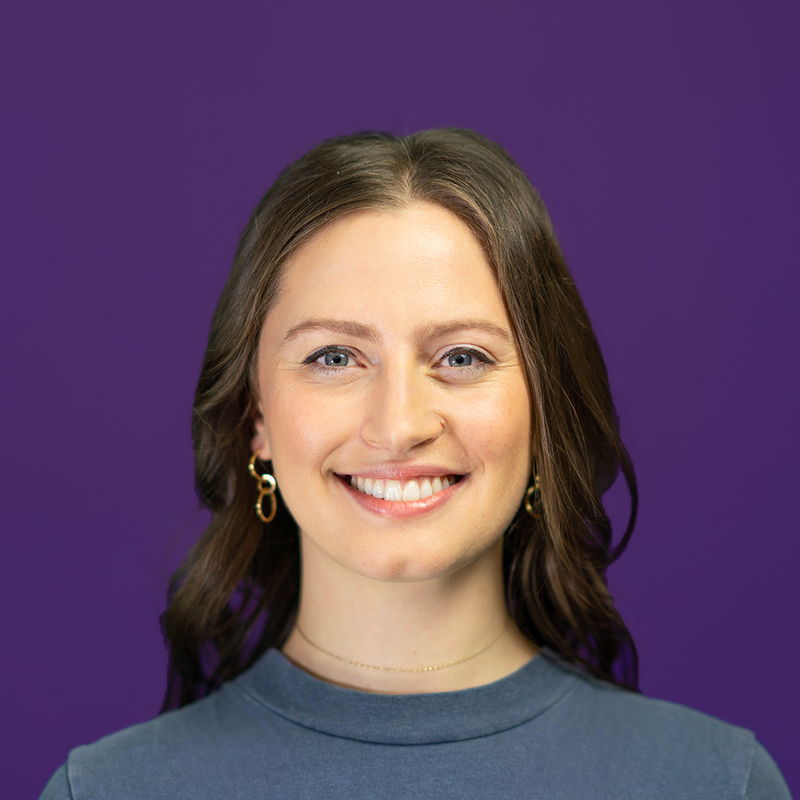 Elizabeth Root, a licensed Mortgage Expert at Better, explains how to decide whether or not to include another person in your mortgage application. Many of our Better customers buy homes with a significant other, family member, or even a close friend by their side. If you’re in the same boat, you might be wondering if you should include that certain someone in your mortgage application as a co-borrower. Let's discuss whether doing so is right for you. 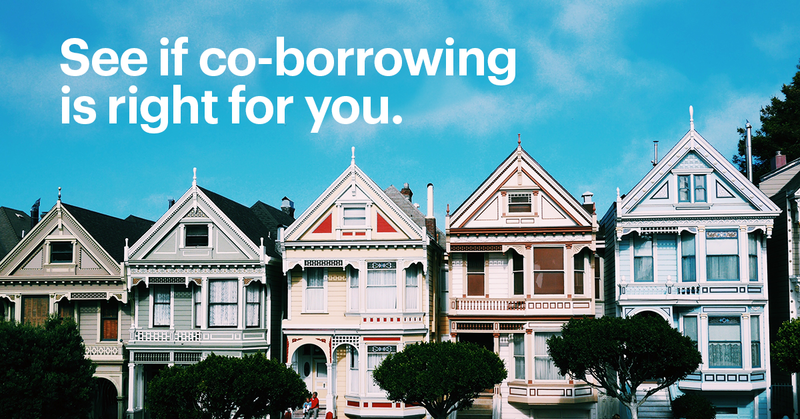 Let’s start off by discussing what exactly it means to be a co-borrower. While you’ll often hear “co-borrower” used to refer to anyone who’s on the mortgage, lenders make a few more distinctions within that term. To start, a co-borrower is any additional borrower listed on the mortgage whose income, assets, and credit history are used to qualify for the loan. Both co-borrowers on the mortgage are equally responsible for mortgage payments and typically have ownership of the house (i.e. they’re both on the property's title). Having a co-borrower is not a requirement for getting a mortgage, but it can be helpful in that together, you and your co-borrower may find it easier to qualify for a mortgage (or a larger one) than you might have individually. Co-borrowers are usually spouses or partners, but you can be “co-borrowers” with someone you are not married to, like a relative or friend. In this case, you’ll be referred to as co-applicants. The relationship and process are essentially identical to that of co-borrowers, but your lender will account for your separate finances by issuing you and your co-applicant individual loan applications for the same mortgage. It’s also possible to have a co-borrower that doesn't live in the home that the loan is for -- they are referred to as a non-occupant co-borrower. You can also have a “co-borrower” who is not on the title and therefore doesn’t have ownership of the home -- co-signers are equally responsible for the mortgage as the actual borrower, while guarantors are only responsible for the loan in the event that the primary borrower can’t repay it. A common scenario for this is a parent who co-signs or guarantees for their child, whose mortgage application benefits from their parent’s added income, assets, and credit history. When does adding someone to the loan make sense? Adding a co-borrower (or co-applicant, co-signer, or guarantor) can be beneficial as doing so could bring additional income and assets to the table. The combined income between the two of you may allow you to qualify for a larger loan amount, since you can afford higher monthly mortgage payments together. Having a co-borrower may also help your ability to get approved for a mortgage in the first place by improving your debt-to-income ratio (DTI). Your DTI is all your monthly debt payments divided by your gross monthly income. Learn more about DTI here. How do lenders consider co-borrowers’ credit? In terms of credit, conventional lenders are required to use the lower credit score between the two of you for loan qualification and underwriting. That means that if one of your credit scores is below the lender’s required minimum score, you still will not qualify for a loan, regardless of how high the other co-borrower's score is. That also means that the lower of two scores will be used when determining how low the rates available to you are. 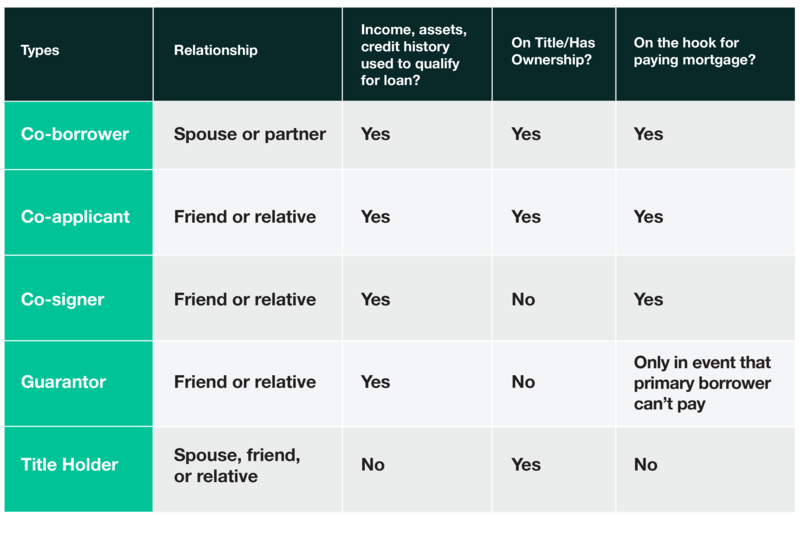 So if your potential co-borrower’s credit score is significantly lower than yours and you don’t need their additional income to qualify for the loan you need, it might be best to not add them to the mortgage. A co-borrower’s credit history can be useful if the other borrower has little or no credit history. This is often the case amongst young first-time home buyers. When lenders are deciding whether or not to approve them for a loan, the addition of a comprehensive credit history from a co-borrower can be beneficial. If it doesn’t make financial sense to add someone to your mortgage through all of the ways we’ve just discussed, you can always just add them to property’s title and not the mortgage. Doing so allows someone who is not liable for mortgage payments still have ownership of the property. So for example, if your spouse has a significant amount of debt or a low credit score that would hurt the mortgage application (or if they just don’t want to be financially liable for the loan), they can still have ownership interest in the home if their name is on the title. Deciding whether or not to add someone else on your mortgage application is a big decision. Not only do you have to determine if doing so will strengthen your mortgage application, but you also have to make sure that you are both willing to share the risk of default on the mortgage and the general risks of homeownership. Keep in mind that you can always refinance your home down the road and add or remove co-borrowers or co-signers from the mortgage and/or title. If you’d like to talk through your options to help make these decisions, we’re here for you. You can schedule a free call with one of our licensed Mortgage Experts.